All of our engines and transmissions come with a 6 month, unlimited mileage warranty. You may put as many miles on it as you want during the 6 month period. This warranty only covers the engine or transmission itself and does not cover any labor. Warranty will begin on the date of purchase and will expire 6 months from that date. All warranty claims must be made during the warranty period. 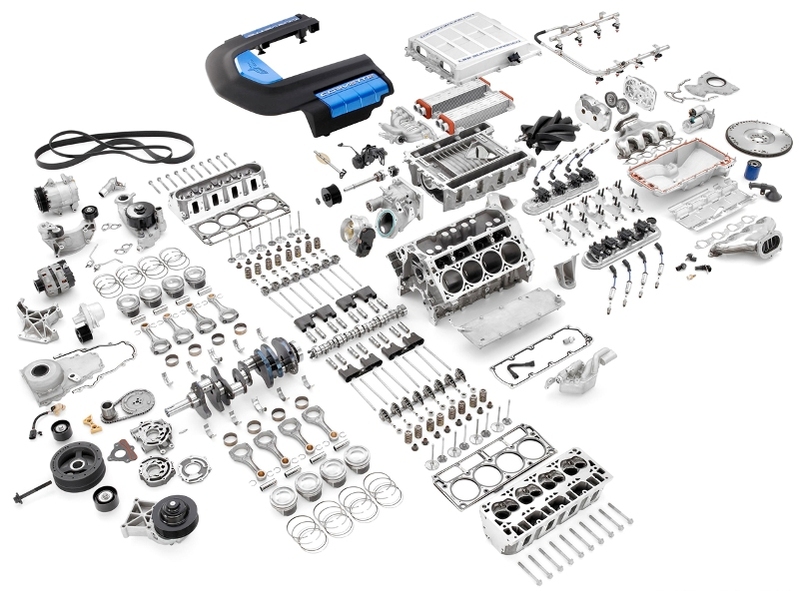 The warranty covers the engine long block (block and heads) and the internal parts. All the outside accessories are not covered under this warranty. Most of our engines come complete but these extra parts can sometimes be different than your original parts. During shipping from Japan some parts can break and get scratched do not worry as this does happen. Just remove these parts and replace them with your original parts. We always recommend using your original accessories when installing any used engine. Please keep that in mind when placing an order. These accessories are explained in item #2 of our limited warranty. In case you are experiencing a problem with an engine or transmission please contact us as soon as possible. We will work together with you and the mechanic to try to find the cause of the problem. We will try to solve the issue while the engine or transmission is still in the car. If the problem cannot be solved while the item is still in the car, we will then authorize for a warranty replacement. We will need to have the warranty item picked up and shipped back before we can ship out a replacement. So please remove any of your original parts that you need off the product before shipping it back for warranty. Purchaser agrees that EngineWorld is not responsible for any cost of labor, parts, towing, installation, dismantling, reinstallation, transportation or freight claim, car rental, loss of work/wages, and/or any other related costs. This warranty applies to the engine cylinder head and block assembly or transmission only, and specifically excludes coverage of the following accessories: fuel injection components, carburetor, intake and exhaust manifolds, distributor, alternator, emission control devices, smog pump and components, seals, timing belt (and any related tensioner,tensioner adjusters, and/or idler bearings), timing cover, thermostat, water pump, flywheel or flex plate, pulleys, valve cover, sensors, switches, oil pan and oil pickup tube, turbocharger, and intercooler (where applicable). These parts must be transferred from the original engine, and must be in proper working condition. Purchaser will be responsible for all freight charges (including the return of the core). Warranty is null and void if head or any internal parts of engine or transmission are removed and/or disassembled. Any item warranted will be replaced with the same item, and will be warranted under the original warranty terms only. In case of any problem with engine or transmission, purchaser must notify EngineWorld for inspection—before the engine or transmission is removed from the vehicle. The engine or transmission must be intact as it was originally installed. Purchaser must change thermostat, radiator cap, water pump, belts, hoses and sensors for proper function. Also, purchaser must install a new radiator or should have the radiator tested, flushed or rodded out by a qualified radiator service facility. Purchaser must install new oil pan gasket, front and rear crankshaft seals, camshaft seals and valve cover gaskets. These gaskets and seals are not provisioned under this warranty. Customer must have engine tuned, timed, and valves adjusted (if applicable). All engines sold are equipped with heat tabs. The purchaser acknowledges receipt of engine with said heat tabs attached. Warranty will be null and void if any heat tabs are missing or melted. Melting occurs at 255 degrees as a result of overheating. On all belt-driven engines, purchaser must change timing belt and set timing. EngineWorld is not responsible for damage caused by a broken or stripped timing belt. On transmissions, warranty applies only to the transmission itself. The warranty excludes coverage of switches, sensors, passing gear cable, speedometer gear and cable, linkage, torque converter, and shift handle. Warranty will be null and void if proper lubricant is not used for transmission and differential. On all transmissions, purchaser must flush all cooling lines and replace any inline transmission filters. On all transmissions, customer must install new oil pan gasket, front, rear, and/or axle seals, torque converter/front pump seal, and transmission oil filter. EngineWorld is not responsible for any of these seals, gaskets, and filters. There will be no refund on any item sold 10 days after purchase date. All exchanged and/or returned items must be returned in their original condition and must be accompanied with their original sales receipt. There will be a 20% restocking fee on all returned items. EngineWorld is not responsible for any damage and/or defect as result of inaccurate or improper installation. Failure to comply with any and/or all of the mentioned parameters of this warranty will render this warranty null and void. No agent or employee hereof is authorized to extend, enlarge, or modify this warranty verbally or in writing. Purchaser is responsible for legal and other fees in case or non-payment on any purchase. Take the time to compare the different accessories and transfer over the parts that need to be swapped. Many parts including intake, exhaust, valve cover, engine mounts, brackets, oil pan and accessories will need to be transferred over from the original engine. Replace timing belt where applicable. Let the engine warm up after first starting. Keep an eye on the temperature gauge. Ensure that fans come on when engine has reached operating temperature. Check for any leaks before taking car on a test drive. We recommend driving the car for 15-25 miles to make sure everything is properly functioning before completing the job. Place both transmissions side by side and ensure that the transmissions are an exact match before installing into the car. Check bell housing bolt pattern, sensor location, harness connectors, cooling lines and axle fitment. You will need to transfer the 4×4 transfer case, sensors, switches, solenoids and cooling lines over from the original transmission to ensure proper function. Check all electrical connectors for corrosion and debris. Check for missing or damage pins in the connectors. Fill torque converter first and then install onto input shaft before installing the transmission. Make sure the torque converter is fully seated down all three steps into the transmission.